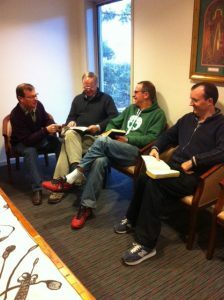 At St George’s there are a number of small Bible Study Groups that meet on a regular basis. These gatherings incorporate a time for study and reflection of God’s word in the Bible, prayer and fellowship. Above all, these groups seek to encourage one another to live out the Christian faith and foster a supportive network of fellowship. A small group provides a good opportunity to love and be loved, to know and be known, to serve and be cared for as we seek to transform ourselves more and more to the image of Christ.